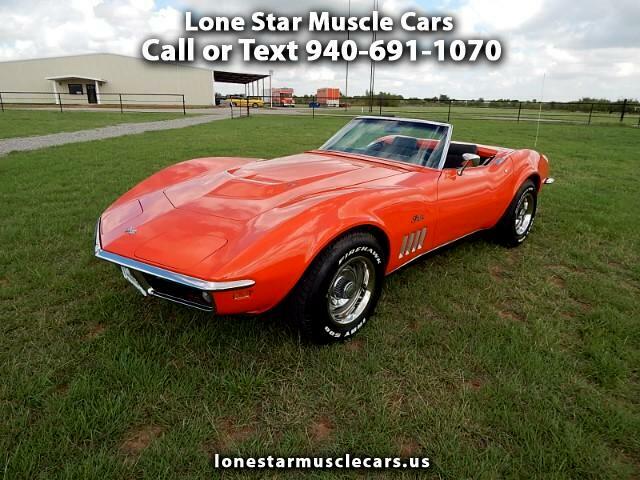 1969 Chevrolet Corvette Stingray Convertible Powered By The Original L36 390 H.P. 427 Big Block Coupled to a M21 Four Speed Transmission. This is a numbers matching Stingray With Original Miles. In The Low Production Color 990 Monaco Orange and black Interior. This car has had a Restoration Done A few Years Ago Tons of receipts and documentation. NADA Classic Value is $76800.